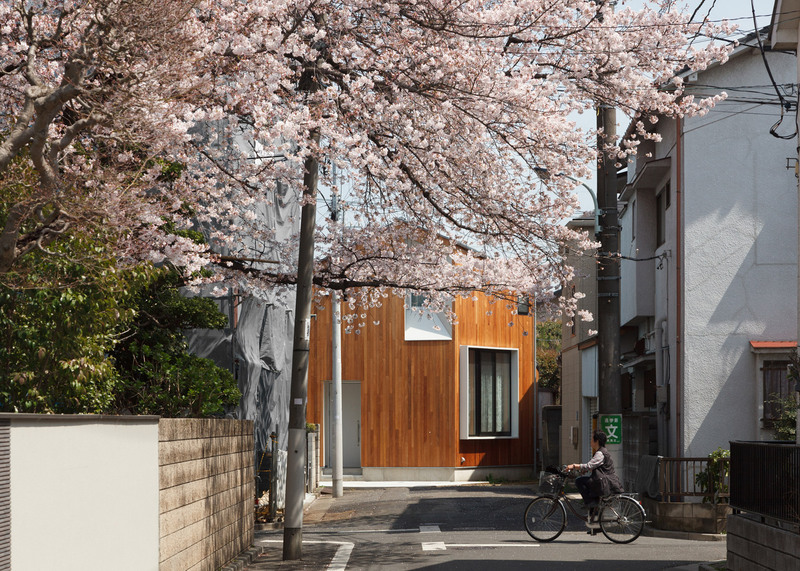 These two openings allow the clients to look out at the tree's blossom, without compromising their privacy. 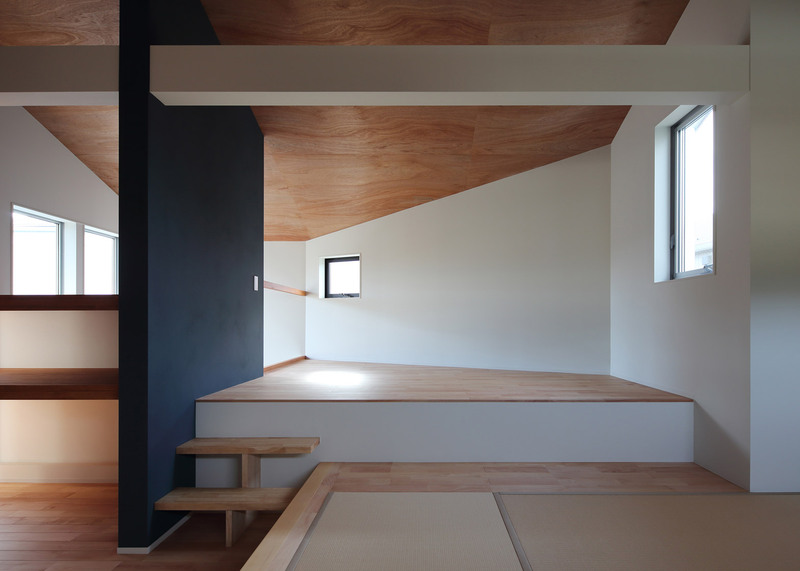 "I wanted to create a woody warm impression of the house, with the indoor light spilling from the windows," explained Okubo. 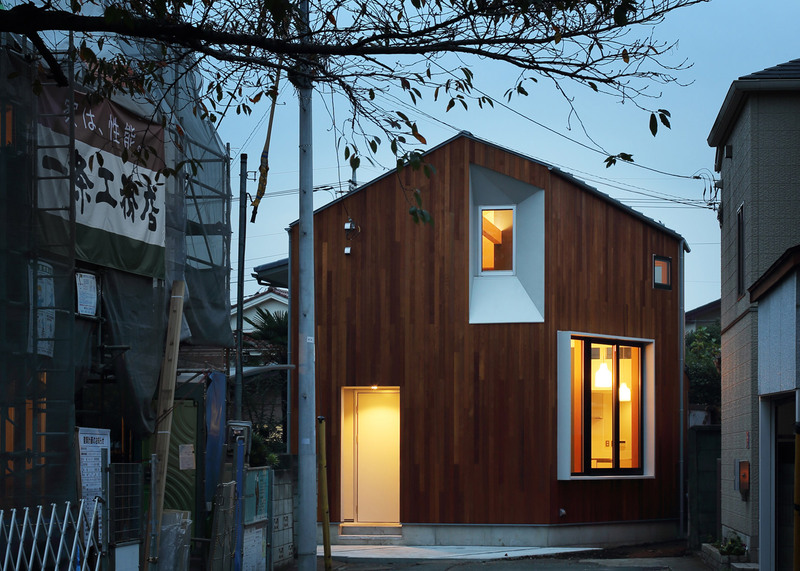 "As a result, the house shows an impressive facade consisting of two elevations, each with a contrasting window," she told Dezeen. "It looks like a woody object heading to the street." 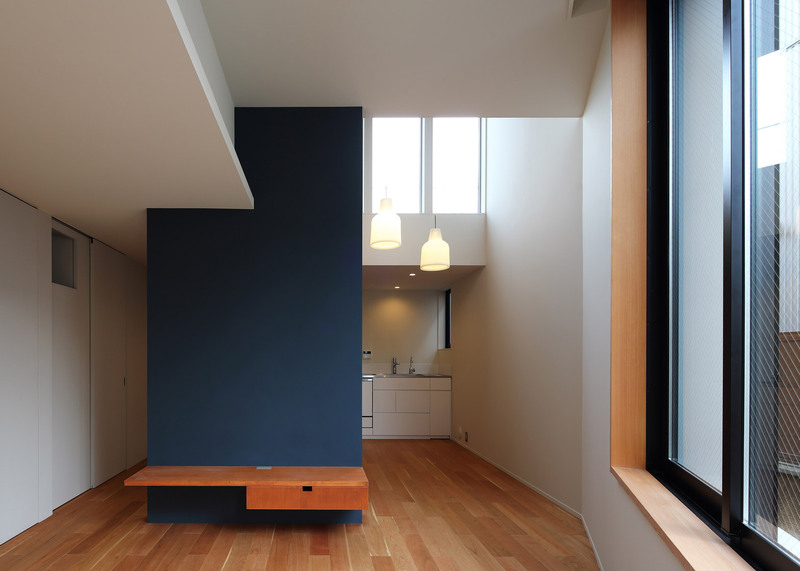 "As it is a small house for a couple, I arranged the space with no partitions, spirally around a dark blue accent wall," said Okubo. "To avoid having a flat ceiling on the ground floor, I designed different ceiling heights by putting in a small rise on the second floor," she added. "It arranges limited space as a rich three-dimensional one." 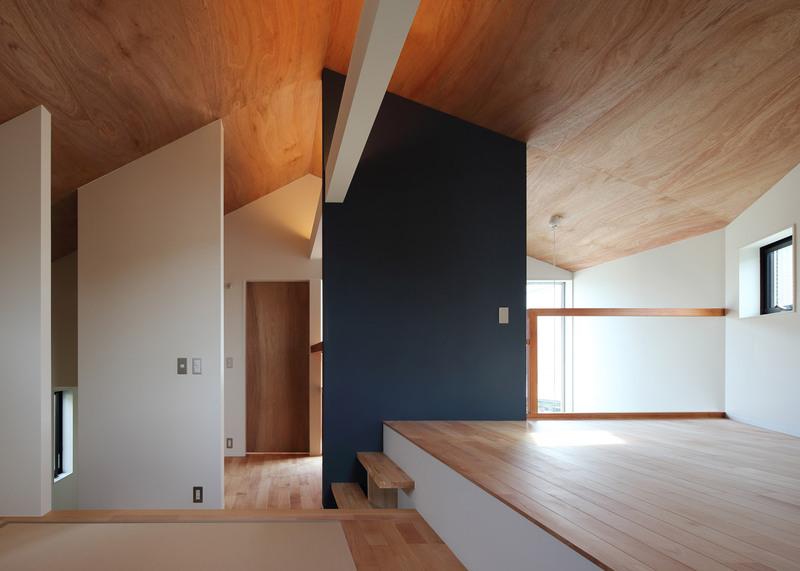 "Ceiling heights, natural light and the stepped floor all separate the space." Japan's cherry trees usually blossom between February and May, and are a popular attraction for both Japanese residents and foreign tourists. 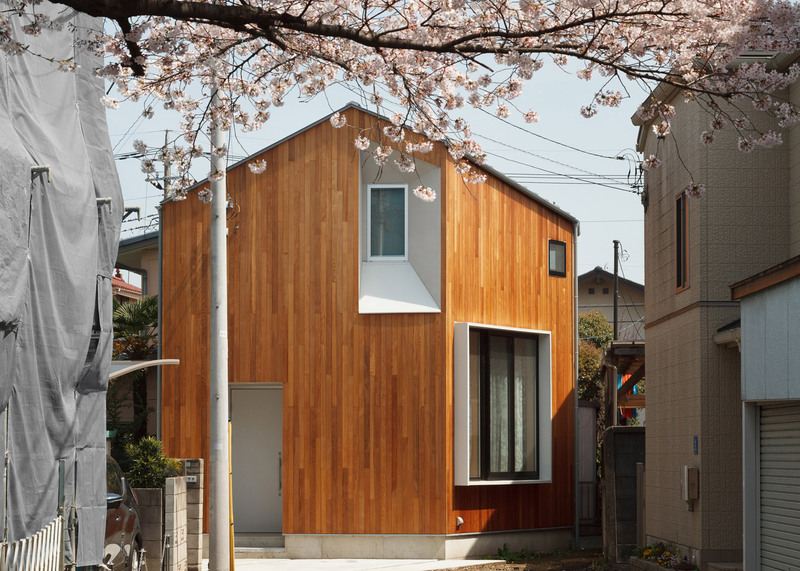 House U isn't the first property designed around the blooms. A cafe in Gifu features mirrored walls, allowing it to reflect the pink flowers, while Schemata Architects' 63.02° house has a wall of windows to offer views of a tree. Photography is by Kai Nakamura.